Casio Tough Solar Self Charging Solar Powered Sport Watch | BUDK.com - Knives & Swords At The Lowest Prices! 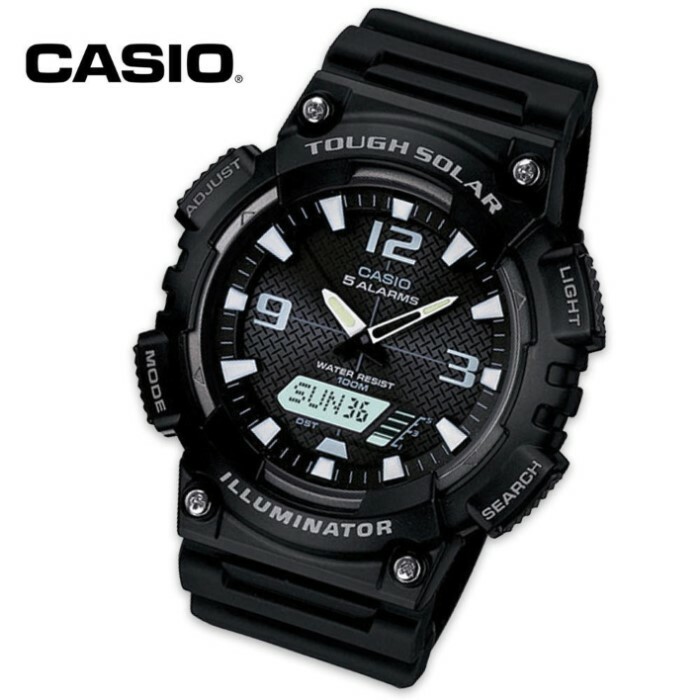 Casio's Tough Solar Self-Charging Solar Powered Sport Watch is powered by light for reliable timekeeping, all the time! This original solar-charging system converts sunlight and fluorescent light to power this watch. Its other features include 100-meter water resistance, LED light with afterglow, neo-brite luminous hands and markers, world time (48 cities + UTC), a 1/1000-second stopwatch, five daily alarms and dual countdown timers.